Multiple draft creation and saving for MICEE data entries. New folder-structured site interface for easier navigation. Individual user catalogs for entries, with advanced sorting functions. These catalogs allow easier access to export functions and citation listings. Revised forum interface with advanced aggregation and functionality, for improved navigation and user-to-user communication. Users can upload pictures and documents when commenting on the MICEE schema. MICEE data exporting in either .CSV or .PDF formats, on any completed citation. Advanced PubMed content importing, for the data entry interface. To create a new account and explore MICEE, please click here: https://www.micee.org/?q=user/register . 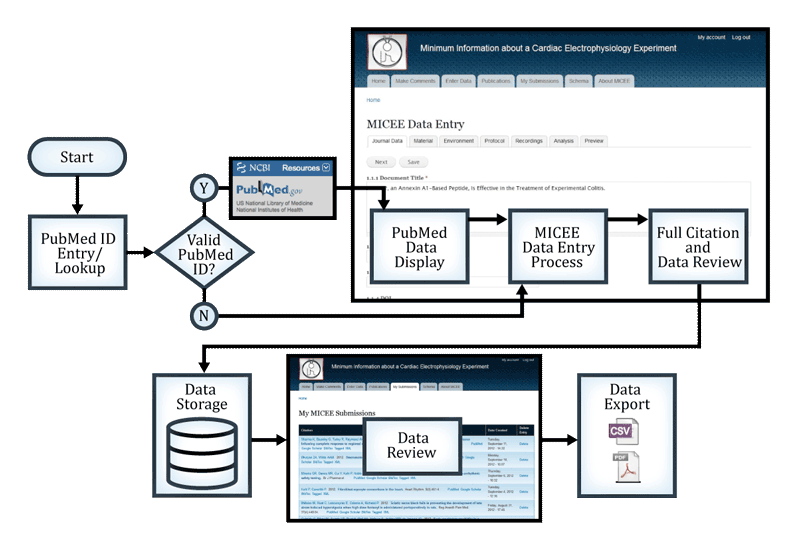 You may also explore the Minimum Information about a Cardiac Electrophysiology Experiment Schema here without an account at anytime: https://www.micee.org/?q=schema . As always, we welcome your feedback as we work to build and extend the MICEE resource.